Making new mom friends can feel sort of like asking someone out on a date. It can be awkward, and, if you, like me, haven’t played the field in a while, you’ll feel pretty rusty. I’ve been married for five years, and I haven’t dated anyone except my husband in over seven years. So, the first time I started chatting up another mom in my neighborhood, I felt some intense deja vu. First, I checked out her baby to see if he was close to my own boy’s age. Then, I sized up the mom. Was she giving off the, “come talk to me” vibe? And, finally, I took a deep breath and said, “Hi, how old is your little boy?” She smiled, one thing led to another, and soon, we had exchanged numbers and committed to a stroller walk in the neighborhood. Phew! Not only is the public playground the place where parents take their kids to burn off some steam, but it’s also where they meet up with each other. I find that the swing set area is especially conducive to meeting other parents. 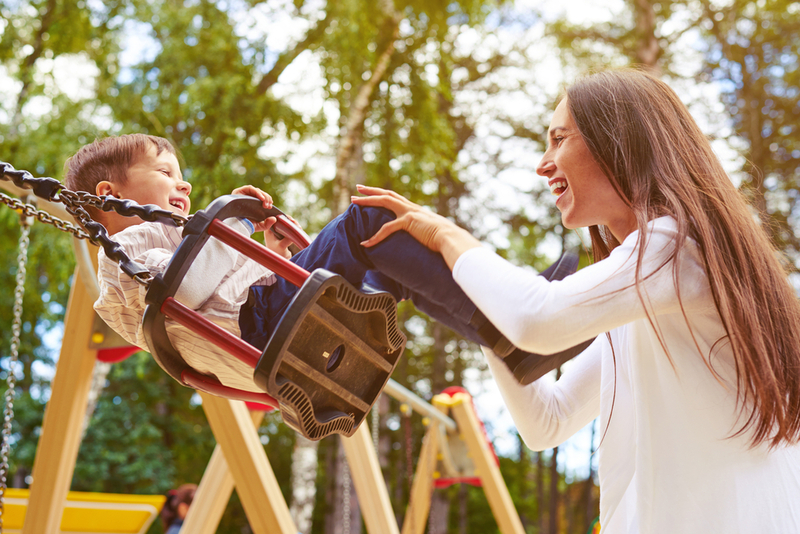 With only a few swings present and the area typically cordoned off, parents have nothing to do except push their happy children and make conversation with the caretakers standing next to them. My son always smiles at the kids swinging next to him, giving me a great conversation opener. There are Facebook groups for everything today, including the ever-useful parents’ groups. 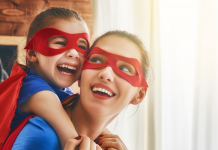 Sometimes a destination for weird medical questions or TMI sharing, the groups can also be a great place for finding out about local events for parents or just for scoping out potential parent friends. If you always like the questions someone asks or answers, send them a message, asking them to meet up. Sure it may feel weird, but corresponding on dating apps did, too. 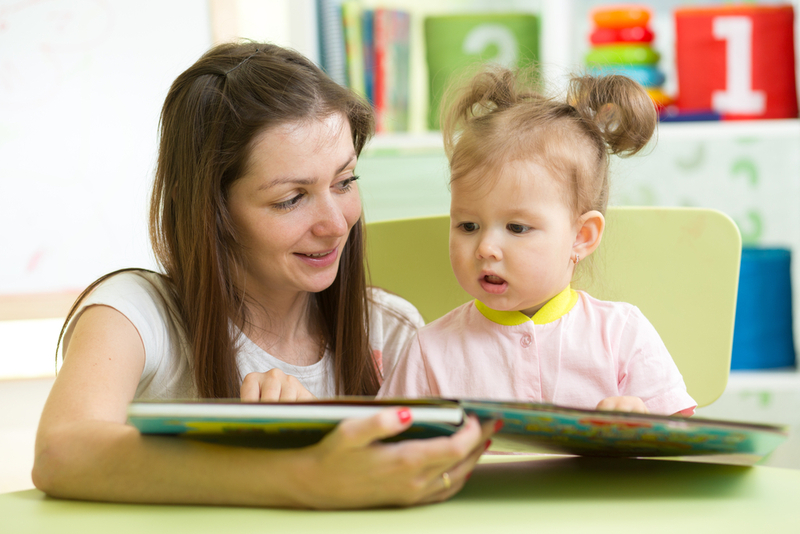 When babies are pre-verbal and not quite doing the one-on-one play-date thing yet, Mommy and Me groups can be a great way to form a community with other parents, while your kids play side by side. Some Mommy and Me groups have special focuses, like breastfeeding or babywearing. Others are simply for parents with babies who are around the same age. My friend hosted one a few weeks ago and sent beautiful email invitations to a bunch of people she knew with babies. The baby photos and catchy tune all made everyone even more excited to attend! Churches, synagogues, and temples are often not just places to pray, but they’re also spaces where communities gather and grow. In my house of worship, I became friends with many women when we were all first married, and then we became pregnant and gave birth around the same time, too. It was incredibly special to experience so many lifecycle events together. I’ll be honest. Since buying a Kindle, I haven’t read a paper book in a few years. I even borrow books from the library on my Kindle. Yet, just when I thought I’d never enter a public library again, my son came into the world and I learned about the library’s story hours for babies. It’s not only a great way to gain exposure to the robust world of children’s literature. It’s also a nice setting to meet other like-minded parents who care about reading. As soon as I was ready to venture out into the world with my baby in tow, a friend asked if she could put me in touch with her mom friend. I said, sure, why not, and prepared for what felt like a blind date. “Are you… Shelly?” I asked timidly, as we approached each other in the mall. Not only did we have babies around the same age, but we’d both studied Russian in college and loved to travel. What I imagined would be a short coffee date turned into a two hour walk followed by a leisurely lunch. Success! During those first few months of motherhood, moms are often surprised to find that they’re still completely attached to their little ones. Whether their baby likes to be held 24/7 or needs to be nursed every few hours, there isn’t much of a window to be apart. Luckily, baby yoga provides an outlet for moms with young babies to stretch, get out of the house, and meet other new moms. My prenatal yoga class actually transitioned into a baby yoga class — which provided me with exactly what I needed, plus a whole lot of cuteness. 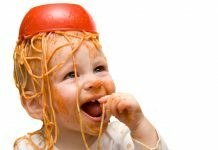 I live next to two grocery stores with small baby food aisles, filled with everything I needed for my son during months six to nine — jarred baby food, pouch baby food, and first cereals. For a while, it seemed like I was always in that aisle, and I often saw the same parents attempting to squeeze their huge strollers through them, too. After a few encounters with one of these moms, I started up a conversation that went something like this, “Salmon and peas for a six-month-old! Sounds fancy.” Somehow, it led to a lovely friendship with a mom and baby who also happened to be our neighbors. Let your online friends know that you’re a new mom, looking to meet other new moms by creating a special Facebook banner. Include a photo of yourself with your baby, and some fun text. Sometimes, the best way to get what you want is simply by asking for it. 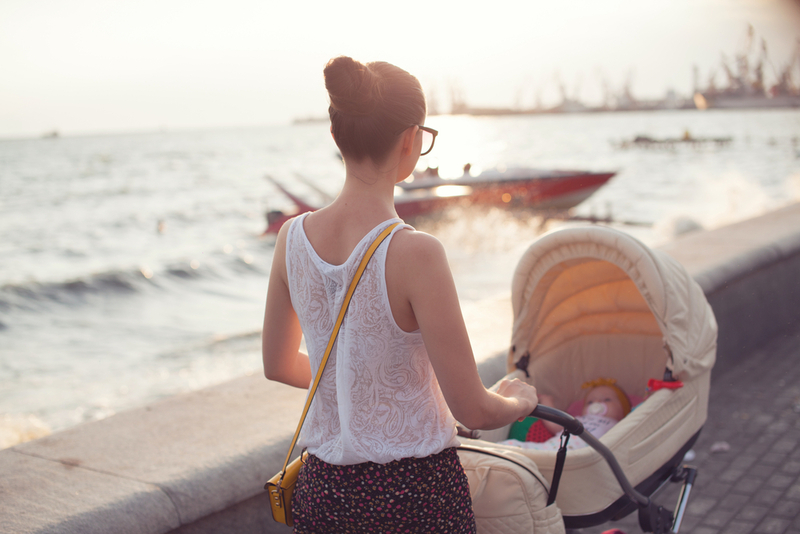 The easiest way to meet other parent friends is simply by heading out into the world with your baby. Pass another mom with a baby? Comment on her stroller, or the baby’s awesome outfit, or even the glorious weather. One day, while I was rushing home, another woman pushing a stroller called my little boy handsome. Complimenting my boy is always a good way to get into my heart. Within minutes, we knew each other’s names, phone numbers, and preferred stroller walking times. And, suddenly, my son and I had two new friends! What are your tips for meeting new parent friends?